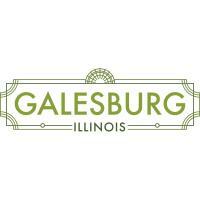 GALESBURG, Ill. – The Illinois Excellence in Tourism Awards took place on Monday, February 4, during the Governor’s Conference on Travel and Tourism in Chicago. The awards honor Illinois travel and tourism teams with the most compelling and innovative tourism marketing initiatives of 2018. Galesburg Area Convention and Visitors Bureau was proud to be honored during this year’s ceremony! Bringing home the title of Best Cooperative Partnership in the Budget B category, the Galesburg Area Convention & Visitors Bureau (CVB) received the award for the collaborative effort put forth to bring the One State Together in the Arts Conference to life, hosted in Galesburg from October 21-23, 2018. “No preexisting model or template existed for producing such a complex, citywide event in Galesburg, and it is largely to the CVB’s credit that our 250 attendees nonetheless enjoyed a frictionless experience. Among the overwhelmingly positive responses to our post-conference survey, more than one participant called Galesburg XCHANGE ‘the best One State conference yet,’” wrote Zachary Whittenburg, Communication & Engagement Director for Arts Alliance Illinois, one organization behind the One State Together in the Arts Conference, as he addressed the judges on the innovative conference put forth in Galesburg. Travel and tourism professionals from around the country judged submissions in eight categories, ranging from best social media marketing to best event or festival. Each category contained a Budget A for organizations with annual operating budgets of $500,000 and above, and Budget B for organizations with budgets under $500,000. The award for Best Cooperative Partnership is awarded for a campaign, program, tour, publication, event or other activity that is the result of partnership between three or more destinations, businesses or organizations who share resources to promote a common tourism experience or product. The Galesburg Area Convention & Visitors Bureau is committed to excellence in order to best serve our tourism partners and the region. To be recognized on a state level is an honor for our entire community. This accomplishment sets the stage for many more successful community collaborations and opens the door for more conferences to convene from across the state and Midwest here in the Greater Galesburg area. To download photos from Monday’s awards ceremony click here. The Galesburg Area Convention & Visitors Bureau supports the economic vitality and development of the region by promoting and growing tourism.